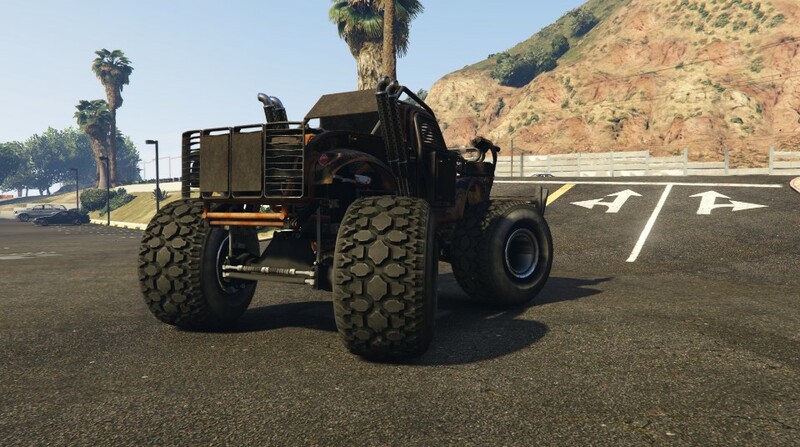 I dont play AW but the idea of a Monster Truck that has energy grenades sounds fun. Which one is buletproof if you Mod it right? But then again thats another issue, will its bulletrpoofness be patched out? I would keep the Scarab as well, as it is useful for reasons I won't discuss here. Get the Apocalypse Sasquatch, put full armour on it and the shocker ram and go to town. This thing DESTROYS everything in your path. The ram is so strong it sends things flying for miles and can easily explode things on impact. 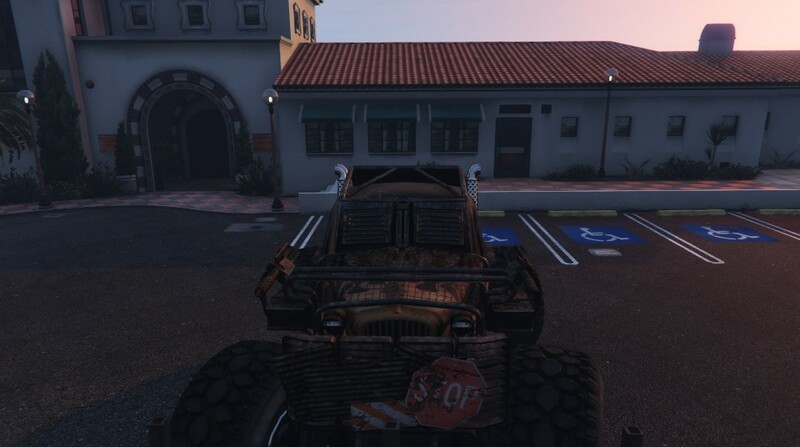 Also, the shocker ram, as you constantly push a vehicle along, the shocker itself continues to deal damage even when you're not ramming, but just pushing. Eventually, the thing you're pushing explodes. I've done it on the Dispatch mission where you have to go after the armoured police fans. As I can't fire out the windows (full armour prevents this) I simply ram and keep pushing until it explodes. The gunman can't do jack about it as you're fully bulletproof. Get the Apocalypse Sasquatch, put full armour on it and the shocker ﻿ram and go to town. This thing DESTROYS everything in your path. The ram is so strong it sends things flying for miles﻿ and can easily explode things on impact. 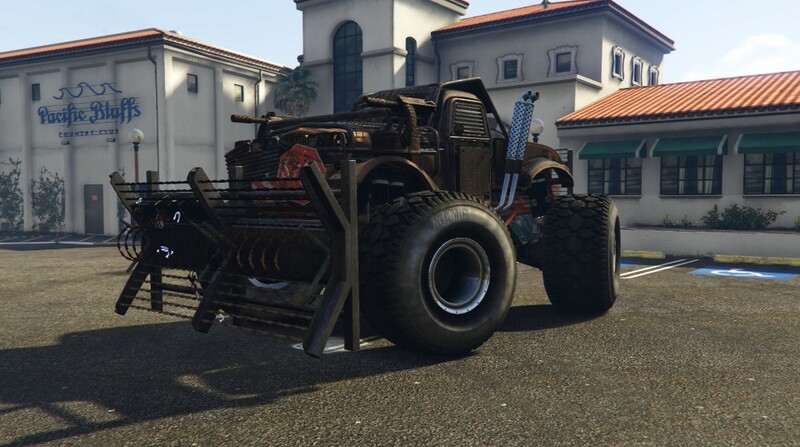 Also, the shocker ram, as you constantly push a vehicle along, the shocker itself continues ﻿to deal damage even when you're not ramming, but just pushing. Eventually, the thing you're pushing explodes. This thing is an absolute fkin menace! I got the energy grenades on mine but they are pretty weak not much use.. good for clearing mess from around you (10's of cop cars) and funny when you can hit a target, but requires accuracy, and when moving forward at speed is not much use. The speed of this thing.. fk me it can accelerate like a supercar and corner pretty amazingly considering its bulk. Also where you might normally have to avoid most traffic, lamp posts etc.. you don't need to with this so you can keep relatively high speeds. An absolute monster. Even in passive mode, you can wreak havoc, and be completely safe. One of the best things from arena update. Forgot I wrote a glowing report for it already on previous page..
i saw this thread this morning and decided to spring for it because of all the praise, regret not getting it sooner. The shocker ram is just sooo much fun, and the kinetic mines and grenade launchers are great for "those" deathbike people on carnage. Edited April 15 by Spectre "2K"
I once just charged up and down the street in passive where a street battle was taking place between a crew and randoms. They couldn't kill me but were experiencing collateral damage from all the cop cars I was chucking about the place. Most fun I've ever had! Gonna have to do that again now reminiscing about it!